Mumbai (formerly called Bombay) is a densely populated city on India's west coast. On the Mumbai Harbor waterfront stands the iconic Gateway of India stone arch, built by the British Raj in 1924. Offshore, nearby Elephanta Island holds ancient cave temples dedicated to the Hindu god Shiva. The city's also famous as the heart of the Bollywood film industry. Mumbai is big. It's India's largest city and is full of dreamers and hard-laborers, starlets and gangsters, stray dogs and exotic birds, artists and servants, fishermen and millionaires, and lots and lots of people. Mumbai is India's financial powerhouse, fashion epicenter and a pulse point of religious tension. The heart of the city contains some of the grandest colonial-era architecture on the planet but explore a little more and you'll uncover unique bazaars, hidden temples, hipster enclaves and India's premier restaurants and nightlife. 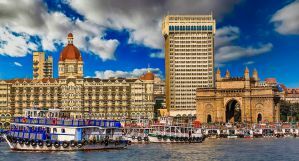 With so much to see and do, Mumbai is a great place to visit, and, luckily, there are some great, budget-friendly accommodations to use as a base for exploring. How much do hostels in Mumbai cost? Arma Hostel Mumbai is a 60 bedded hostel accommodations with separate male and female areas. It features rooms with digitally secured entry and an in house restaurant. It is a newly built hostel with an international vibe and local touch in interiors and hospitality. Arma Hostel is 2 km from Bandra Kurla Complex, U.S. Visa consulate center, diamond merchant market and other shopping areas. The Hostel offers great-value, air conditioned accommodation in Mumbai city center. Bandra is a great choice for travelers interested in nightlife, business, and food. The property offers an outdoor terrace for relaxing in the fresh air and enjoying the city scenes, and there is also a book exchange for a relaxing night of reading. This property is also rated for the best value in Mumbai. Linens, towels, and parking are included with your stay. Anjali Homestay is a great backpackers' meeting, planning, and transit point. It provides a comfortable and convenient option for chilling before or after a long flight, making plans for Indian travels, and meeting other travelers. It is located near the airport and offers a welcoming, home-like environment. The common room is great for relaxing and meeting others and offers cable TV and free WiFi. The property offers some dining options and you can order breakfast, snacks, and soft drinks for an extra charge. There are several restaurant options nearby, both vegetarian and non-vegetarian options, as well as fruit markets and more. The property offers different room types to meet guests' needs: 2 Dorms (female, male, A/C), 1 Double bed privates, 1 Triple, 1 Family Room (4-5 persons) and 1 twin bedroom with shared toilet. Linens, towels, and parking are free with your stay. The Bombay Backpackers is a fully air-conditioned hostel with comfortable beds and a cozy atmosphere. They offer free, fast WI-FI and common areas to meet and exchange notes with fellow travelers. There is also an indoor smoking area available. The property is an ideal location for good transport connectivity and there is a travel desk at the reception, so city tours etc. can be organized through the hostel. Some of the city's most popular bars and restaurants are within walking distance from the property. The staff is warm and welcoming and happy to help with any questions. Free local breakfast provided every morning with tea. 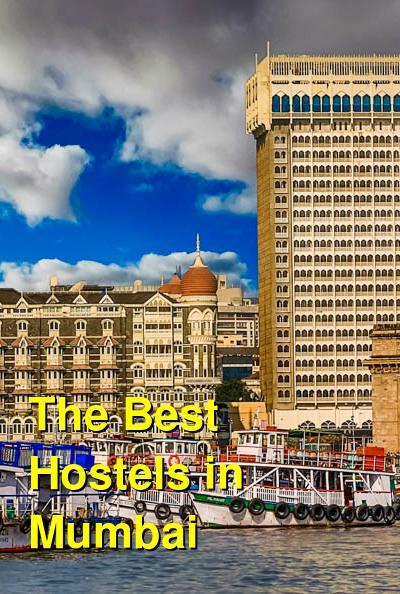 The hostel has 3 themed dorms, focusing on the most important source of transportation in Mumbai, the local train dorm, the red bus dorm, the yellow - black taxi dorm & the tuk-tuk dorm. Linens are free with your stay and towels are available for hire. Being the first backpacking hostel in Mumbai, Backpacker Panda-Appetite is more than just a place to rest when you want to escape Mumbai's enticing chaos. It's an ensemble for friendship, adventures, stories and community. The property offers 3 different dorm rooms, each with their own private bathroom. They pride themselves on offering a welcoming environment where anyone can feel at home during their stay. They offer several amenities to include everything a backpacker needs to feel at home while travelling- comfy beds, free laundry services, common kitchen for self-catering, free Wifi all around the property, friendly and helpful staff, and a comfortable common area with a lot of board games where you can relax and get to know like-minded backpackers and travelers. Linens are included for free with your stay and towels are available for hire.